The clergyman and chemist Joseph Priestley died February 6th, 1804, aged seventy-one. The King of Sicily died on February 26th, 1154. C.A. Bayly looks at the opportunities presented to the historian in the 21st century when trying to write the history of the world. The Battle of Port Arthur began on February 8th, 1904. David Cesarani examines the effects of a long history on a new nation state. Emelyne Godfrey looks at the latest trends in postgraduate historical studies. Archaeologist Keith Branigan uncovers clues revealing the patterns of emigration from the Isle of Barra to British North America, from 1770 to 1850. Robert Garland asks what murder meant to the apparently bloodthirsty Greeks and Romans. Danny Wood visits Carranque Archaeological Park, near Madrid, recently opened to the public. Historian and magician Peter Lamont considers what can be learned by studying the history of a famous conjuring trick – or con trick? Rana Mitter recalls the career of a man who once ruled an area larger than France and Germany, but who spent forty years in Chiang Kai-shek’s gaols. 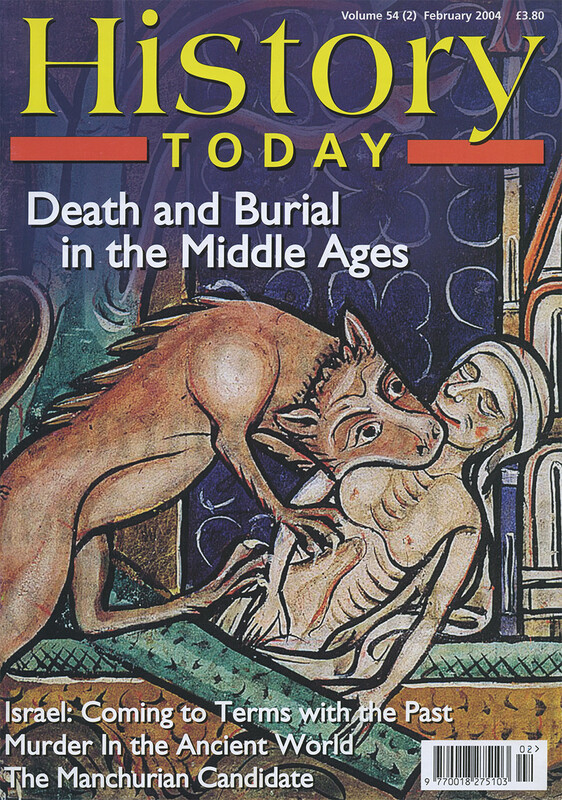 Nicholas Orme considers how the crowded cities of medieval England dealt with the death and burial of their citizens. Terry Jones, former Python, describes how a perverse fascination with the boring bits of Chaucer converted him from being a clown into a historian of the 14th century. Peter R. Neumann shows the relevance of ‘The Troubles’ to allied policy in Iraq.